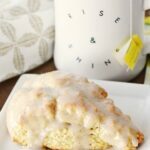 Looking for a healthy carrot cake or carrot cake muffins recipe? If so, you’ve got to try this version. 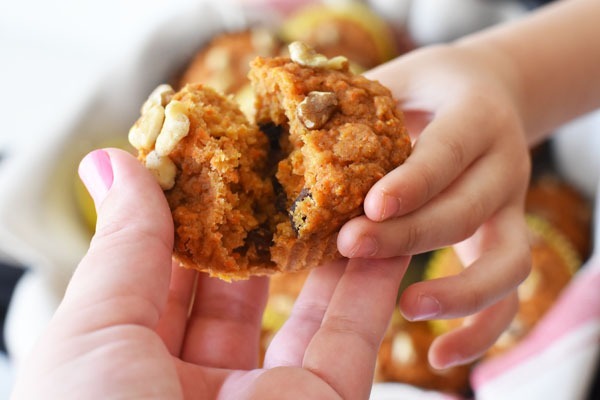 You’ll love the real honey, unsweetened applesauce, and chopped walnuts in these delicious and moist carrot cake muffins. As many of you know, I love to cook and more specifically bake. Baking is such a relaxing pastime for me. 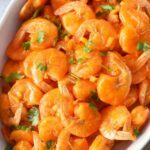 I love taking a bunch of ingredients and making them into something tasty that my family can enjoy. 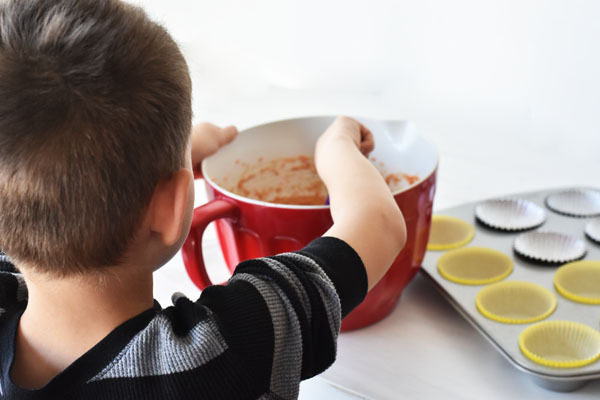 Lately, my children have been becoming more interested in helping me bake so today I am sharing these Healthier Carrot Cake Muffins Recipe Made with Love. My son is just about 5 years old and will be starting school this September. It is pretty heartbreaking to realize that my baby will be off to school soon. He is my last child and only boy so it is a little more tough with him. Lately, we have been finding ways to spend more quality time together to make memories. Baking is one of the activities we have be enjoying together. Fortunately, It’s a win-win situation because I love to bake, and he loves to eat my baked goods! 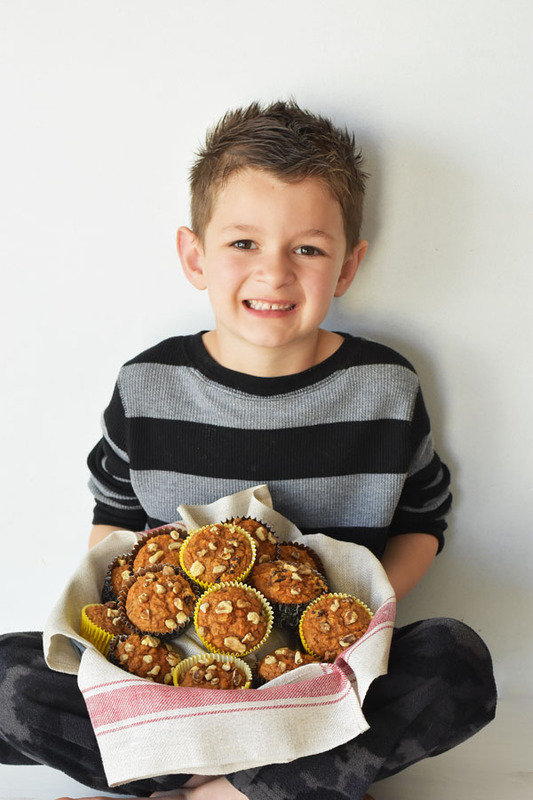 Actually, the whole family went crazy over these carrot cake muffins. When I was younger, I would constantly hover around my mother in the kitchen. I probably got in her way more than I helped, but I did learn a great deal about cooking, and baking from her. I cherish the memories and hope to continue to make them with my children. What do We Mean by “Healthy” Carrot Cake Muffins? Healthy in this context is relative to a traditional baked carrot cake muffin that’s made with vegetable oil and refined sugars. 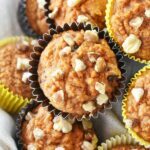 The best things about this carrot cake muffins recipe are the healthier ingredients incorporated in. 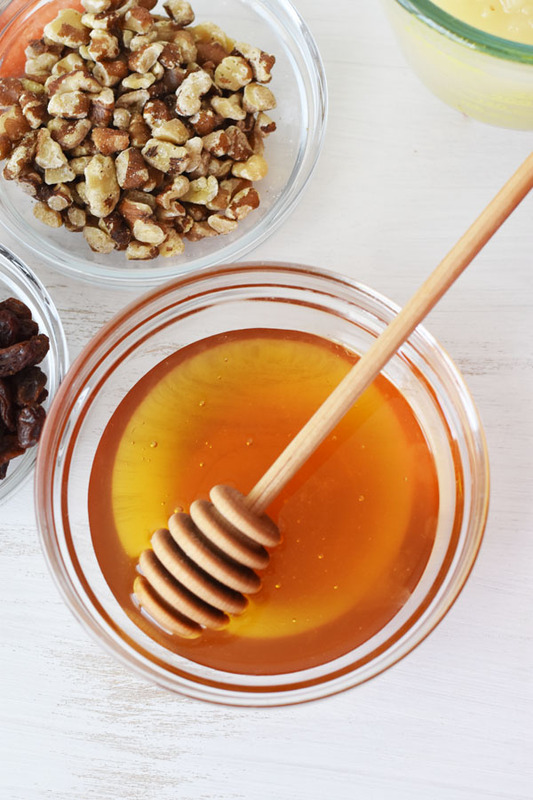 We use real shredded carrots, applesauce, walnuts, and real honey in this delicious recipe. 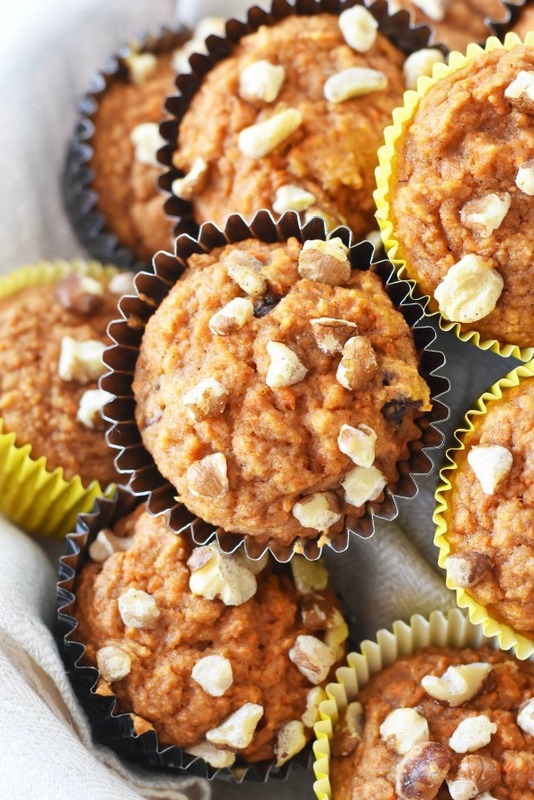 The natural ingredients meld together perfectly to create super moist and tasty carrot cake muffins! In a large mixing bowl, add all your dry ingredients and stir well. These Healthier Carrot Cake Muffins are perfectly sweet and contain much less calories verses a traditional carrot cake with cream cheese frosting. When you are trying to make smarter choices, these muffins are for you! Looking for a healthy carrot cake or carrot cake muffins recipe? If so, you've got to try this version. 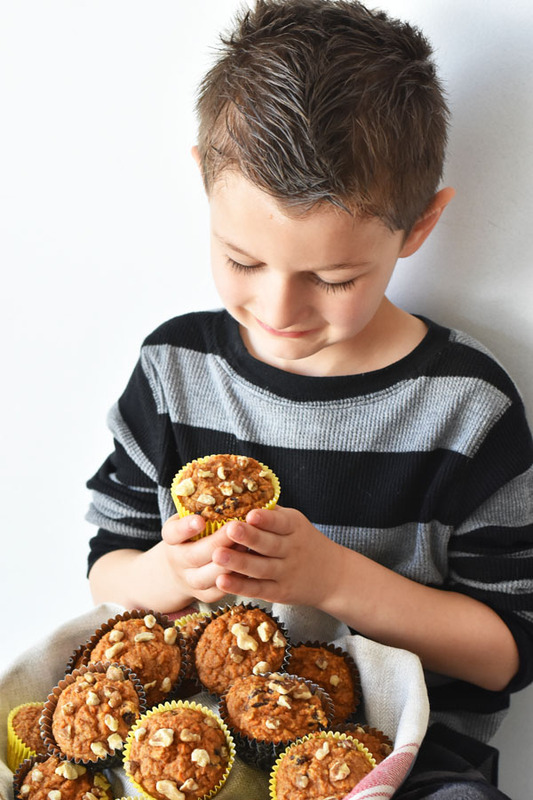 You'll love the real honey, unsweetened applesauce, and chopped walnuts in these delicious and moist carrot cake muffins. Never heard of Ivory wheat flour can I substitute regular flour. If so would it be the same amount? You can use regular wheat flour to keep it healtier. Bob’s Red Mill sells Ivory Wheat Flour. 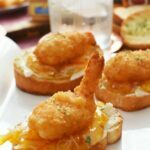 What’s the substitute for eggs? Did I miss the nutrients? I scrolled through again and still didn’t see it. Spunds good but not sure about finding ivory wheat flour of vanilla paste. 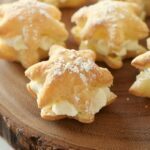 Can I use vanilla extract and rgular wheat flour? What are the carbs and sugar grams? This cook is so busy advertising hand soap that she neglected to add in the egg. Really? Hand soap with a recipe? Come on! Well, we all have jobs and this is mine. Have a great day! Do you have the nutritional informantion? I’m diabetic. How many carbs? 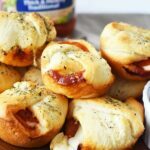 Hi, I do not but you can use a site like https://www.verywell.com/recipe-nutrition-analyzer-4129594 to plug it in. I have never heard of Ivory wheat flour where do you buy it? I can’t get Ivory flour here. Ok to sub we flour? Adjustments? Hi, you can use regular wheat flour! Ivory is just a lighter blend. why would it be more difficult to send your son off to school? Did you feel the same when your daughter/daughters entered school? Hi, I just replied to this via email. Thanks!